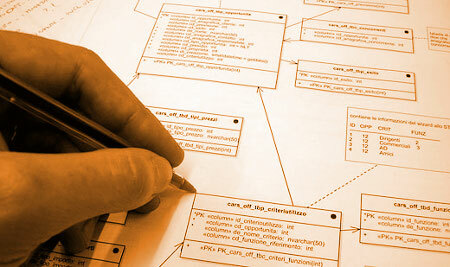 Database change management tools are of great help to developers and database administrators. These tools increase the efficiency of their work. Earlier database administrators used command lines to delete, create and edit databases. However now with the introduction of Database Change Management tools, the work load of the DBA’s has reduced considerably. Liquibase is an open source (Apache 2.0 Licensed), database-independent library for tracking, managing and applying database changes. LIQUIBASE is used by developers in locating and making amendments in the database. The track of all these changes are maintained in an XML file (database changelog file) which serves to overview the list of changes made. It is compatible with any database which java can easily connect to. Execution can take place through Maven, command line, Ant etc. Designed by a team of professionals at “Thoughworks”, this database change management tool is basically used by developers to manage and enhance their database designs. It is much more useful for those who refactor their database more often. Dbdeploy has employed java for its code construction and unifies with Sybase and Hypersonic SQL databases, Apache Ant build tool supporting Oracle. Portability: The migration files are initially written in PHP5 which are further translated to appropriate SQL during runtime. Thus providing an option of supporting any RDBMS with a single migration file. This database management tool is in there in form of a GUI service. Its use is to bring SQL server database under source control. This IDE is used as a remedial measure for the deployment and development of the database as well as automating you test processes and your deployment. This software is available for free and its installation has many advantages. NeXtep Open Designer uses a centralized version control repository to track any change you make on your database model, source code (PL/SQL, T-SQL, etc.) and reference data. This repository is a simple database schema that can be automatically deployed to any supported database. Tasks like maintaining and updating the relational databases are done by these tools very quickly and efficiently. These tools also help in maintaining the complex projects thus making the task easier for developers. Thus if you wish to increase your efficiency then these Database Management Tools are highly recommended. Hope you found this list useful! What are the tools you have used for database management? Please don't forget to share with us in comments.